Uganda police Force has confirmed the arrest of some suspects beleived to have been behind the recent kidnap incident of American tourist Ms. Kimberly Sue Endicott and a Senior Tour Guide, Jean Paul Mirenge last week. This follows the successful controversial rescue of the two who were recovered unharmed on sunday 7th April 2019 evening by Ugandan Forces along the Uganda – Congo border. 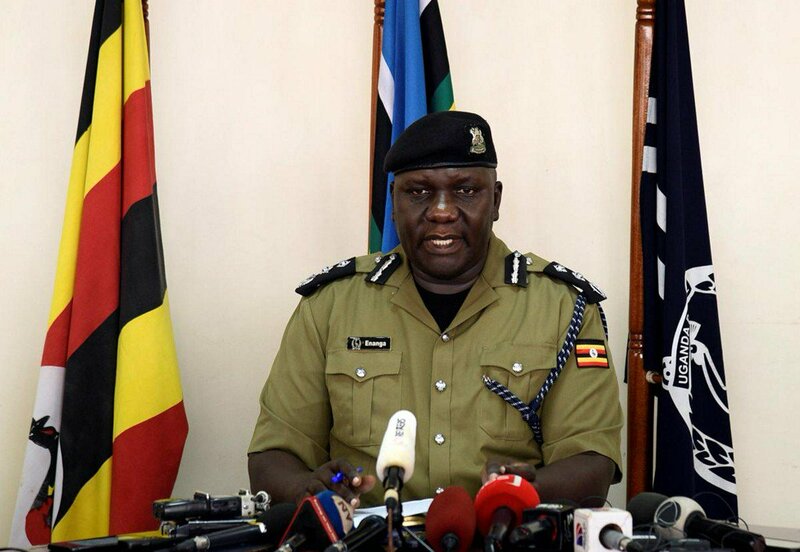 In the ststement by the Uganda Police Spokesperson CP Enanga Fred, the arrest was done by the joint security team on suspicion of being involved in the first ever kidnap of tourists in Uganda in the past 15 or more years. “The joint security team actively investigating the kidnapping incident and successful recovery of an American tourist Ms. Kimberly Sue Endicott and a Senior Tour Guide, Jean Paul Mirenge- Remezo, has made some arrests of suspects.” Part of the statement reads. The statement states that the intelligence led operation which was calculated and tactical, in the early stages is now progressing unhindered, with raids and extensive searches in Kanungu district, where the suspects were arrested and the neighboring areas. “We want to applaud the Joint Security team, for ensuring the kidnapping incident, where the captors were armed, in a very dynamic setting, did not go wrong, and for their break through in attempts to crack down, the criminal gang… We continue to remain committed to the safety of the community, and also thank all stakeholders including the US Embassy, the Tourism Sector, families and friends, and the Media for their patience and support during the recovery efforts.” it furthur reads. Meanwhile, neither the number nor the details of the arrested was mentioned in the statement though according to highly placed sources, about two whose identities are yet to be established are in the hands of the police.